I know this doughy treat is probably no healthier than a carb-heavy pizza, but we've been going to Dewey's Pizza a lot lately and I've rediscovered calzones. You might think of calzone as pizza turned inside out, but that's not exact. For one thing, ricotta is the main cheese instead of a mozzarella blend. At Dewey's you pick up to three fillings along with the cheese, and the only tomato sauce comes in a little side dish for dipping. My recent order has been double spinach (two of the three) and either mushrooms or roasted red pepper. I thought the mushroom went better with the spinach than the peppers did. The calzone is huge; only once have I finished it in the restaurant. 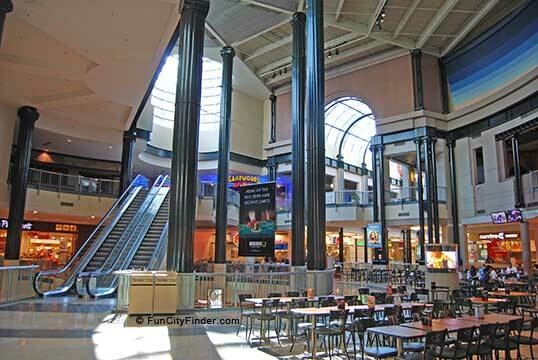 Dewey's has several metro Cincinnati locations, including next to the new movie theaters at Kenwood. If you want to eat before a film, be sure to allow plenty of time because the place is slammed, considering that it is the only eatery in the complex. Here's an easy and delicious vegetarian one-dish dinner, so full of flavor that I can't imagine anyone missing meat. For protein, white beans and a sprinkling of your favorite cheese does the trick. The combo of ingredients makes for a nice pairing with either red or white wines. All you need is some crusty whole-grain bread and you've got a healthy, complete meal. This recipe is for two, but can be doubled. I use the log style of polenta, slicing it about 1 1/2 inch thick and pan-frying it in a non-stick skillet with just a thin coat of olive or canola oil. Heat oil in a large, deep sided skillet over medium heat. Add chopped celery and onion along with the diced fennel. Stir frequently as the veggies soften, about 3 minutes. Stir in fennel, cover the pan and cook for another 2-3 minutes. Remove cover, add garlic and broth or water and stir-fry for another couple of minutes until the fennel wedges have softened. Add tomatoes and seasoning (saffron, if using, thyme, salt and pepper), stirring well. Cover again and let the flavors blend for about 2-3 more minutes. Add beans and spinach, cover pan and let spinach wilt, about 3 minutes. 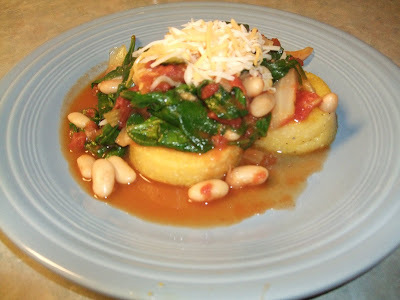 Place polenta slices on plates, spoon bean mixture over the polenta and sprinkle with cheese. Pass more cheese at table, if desired. Where do (healthy) foodies like to vacation? Places where the food is exceptional, of course. Luckily there are many wonderful destinations to choose from. A reader sent a link to an article about top foodie vacation destinations from his site, best colleges online. Here's his list, of which I've tried only a few but among the ones I have been lucky enough to experience, Paris, New York City, Chicago and Tuscany (especially Florence) were utterly fabulous -- places where you should never have a bad meal because great ones are so easy to find! My photos show the Florence Market from our 2009 Italian trip and a shot of the Windy City, home of many favorite restaurants, led by Frontera Grill. Thanks to Tim Handorf for this info, and be sure to check out his site (link above)! Vancouver: Vancouver should be on all foodies' radars. This lovely coastal city has a diverse cuisine that believes in using local and seasonal foods, such as wild spot prawns, wild salmon, Pacific oysters and sea urchins. Top off your meals with one of the many delicious coffee drinks this city has to offer. London: London may get a bad rap for its bland food, but foodies who are willing to spend a little more than average can get some top-notch meals. Foodies have to try a couple things to make their trip complete: Indian food (London's top cuisine), fish and chips, and shepherd's pie. New Orleans: New Orleans may be known for Mardi Gras, jazz and football, but this city is not short on good food. Foodies can't go to New Orleans without trying their signature Cajun and Creole style dishes, such as gumbo, po' boys, jambalaya, Gulf oysters and "French doughnuts," called beignets. Mumbai: Curry, err, hurry on over to Mumbai, where the curry dishes are to die for. Sink your teeth into one of the many Mumbai curry dishes that come with seafood, coconut and various spices to kick up the flavor and heat. 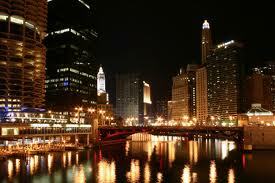 Chicago: The Windy City has a lot to offer hungry travelers. While you're sightseeing, grab a Chicago-style hot dog served on a poppy seed bun with mustard (no ketchup) and tasty toppings. The next big decision is deciding where to go for your slice of traditional deep-dish pizza. Tuscany: Enjoy a healthier kind of Italian food in Tuscany. Foodies will adore the simplicity, but pure deliciousness of Tuscan food, which focuses less on pasta and heavy sauces and more on grilled meats, salads and broad beans. Paris: If you're a true foodie, then Paris is most certainly on your vacation radar. From street food to gourmet dishes, Paris has it all. You must try all the crepes, pastries, caviars and escargots you can stomach! Bangkok: Foodies haven't lived until they've gone to Bangkok for authentic (and affordable) Thai food. If you're a fan of spicy foods and exotic flavors, you'll fit right at home in Bangkok. Traditional Thai food doesn't let anything go to waste, so if you're feeling adventurous try some boiled chicken legs, pork intestines and deep-fried water roaches. This city is truly an adventure for your tummy. Tokyo: Foodies visiting Tokyo will have a wide variety of delicious foods to choose from, including fresh sushi, warabi mochi, umi-budo, miso chirashi-don, tempura and much, much more. Finish off your meal with some sake or mocha ice cream. If you're feeling really adventurous and not so squeamish, try some basashi, raw horsemeat. Rome: Rome is the place for quintessential Italian food and foodies won't be disappointed by the rich cuisine. When in Rome, you've got to do as the Romans do and eat everything from pizza to pasta, gelato, cannolis and cappuccinos. Your taste buds and tummy will be in heaven. Morocco: Foodies won't be disappointed in the variety and deliciousness of Moroccan food. While you're there, get your couscous fix with one of the many scrumptious varieties, topped with a spicy stew of vegetables, lamb chicken or fish. Try a big bowl of stewed lentils with crusty bread or stewed white beans, and wash it down with a cup of mint tea. New York City: Foodies have to take a bite out of the Big Apple and then some. New York City is filled with good food everywhere you look. Whether you want a big slice of New York-style pizza, a hot dog with sauerkraut or a New York strip steak, you can find this and more in the city that never sleeps. Barcelona: Barcelona is a snacker's paradise, thanks to the abundance of tapas, Spanish snacks. From olives and cheese, roasted peppers, chorizo and fried baby squid, there are tapas for every foodie craving. Houston: Take a trip down south to Houston for some one-of-a-kind barbecue and Tex-Mex, as well as international cuisines. When in Houston, foodies must munch on smoked brisket, chips and salsa, enchiladas, fajitas and just about any other delicious dish you can sniff out in this wonderful Texas town. Athens: Greeks eat much more than just gyros. 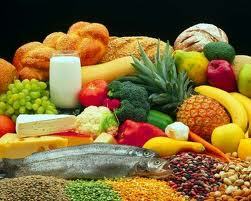 In fact, foodies will fall in love with the wide variety of Mediterranean dishes that Athens has to offer. Meals typically consist of lamb, fish and olive oil, but there are also many stews, casseroles, souvlaki, grilled cuts of meat and much more. Treat yourself to baklava, kataifi and fresh fruits for dessert. Napa Valley: Make all your foodie wishes come true in Napa Valley, California, where every delightful meal is paired with a glass of wine from local wineries. Here, you'll get a hefty dose of wine education and a nice variety Cal-Italia meals and fresh fusion foods. Argentina: Argentina is a foodie's paradise, especially if you're a meat lover. Argentine cuisine is full of delicious grilled meats, specifically beef ribs, steaks, barbecue and chorizo, as well as lamb and goat. The cuisine may vary depending on where you are in the country, but you can rest assured that you'll find dulce de leche, empanadas, Asado, yerba mate and other traditional Argentine foods wherever you are visiting. San Francisco: San Francisco is rich with culinary diversity and bold flavors that foodies will fall in love with. Enjoy fresh seafood, sushi and Chinese food, as well as local favorites – Crab Louis salad and clam chowder in a sourdough bread bowl. Don't forget to treat yourself to some Ghirardelli Chocolate or ice cream at the historical Ghirardelli Square. Hong Kong: Take a gourmet adventure to Hong Kong to experience the wonderful Cantonese cuisine. Your taste buds will come alive when you try the delicious array of dim sum, including steamed pork spareribs, steamed buns with roast pork, shrimp dumplings and other delicacies. Make sure to stop in at an outdoor cooked-food stall for simple and traditional seafood, noodle or rice dishes. Belgium: Foodies will enjoy the Belgian emphasis on big cuisine rather than fine cuisine, which means they like big portions and good quality without the fuss. This mean more bang for your buck. While in Belgium, you have to try their claims to fame like French fries, Belgian waffles and Brussels sprouts and carbonnades flamandes, a Belgian beef stew with beer. Vietnam: Foodies will be blown away by the fresh and delicious cuisine of Vietnam. Fish sauce, soy sauce, rice, noodles, fresh herbs, fruits and vegetables are all staples in traditional Vietnamese dishes. Indulge in a hot and savory bowl of pho that comes with your choice of meat, and cool down with fresh spring rolls. Seattle: Seattle may be known for its rainfall and Starbucks headquarters, but this lovely coastal city is no stranger to producing great food. Foodies will love the fresh seafood and sushi that comes out of this area, as well as the wide variety of vegetarian dishes. Seattle's clam chowder or smoked salmon chowder gives others' a run for their money. Don't forget to try the regional specialty, geoduck, a large saltwater clam. Mexico City: Mexico City's claim to fame is their tacos, and rightfully so, because they are well worth the trip. The bustling capital is specifically known for their tacos al pastor, which consist of carved pork meat that has been marinated and served with either cilantro, chopped onion, fresh salsa or pineapple. You can find these and other tasty tacos at any local taquerias in Mexico City. Shanghai: Even though Shanghai doesn't have a cuisine that's all their own, it does include Hu cai, a popular style of Chinese cuisine, but with a twist. A signature food in Shanghai is steamed dumplings. These delicious dough balls are filled with hot broth, ground pork, crab meat or vegetables and are to die for. Another traditional Shanghai dish you have to try is "drunken" meat and fish that have been soaked in spirits and are served raw or lightly cooked. Istanbul: Spit-roasted meat is Istanbul's specialty and foodies will be fans in no time. Sink your teeth into a traditional doner kebab, which consists of grilled mutton atop buttered rice. Sit down to enjoy this mouth-watering meal, or get one on the go from a street vendor that comes wrapped in a pita bread with lettuce and yogurt sauce. I'm crazy about this TV chef, thanks mostly to his ABC-TV series last summer where he took on transforming the eating habits of the "unhealthiest city in America" (Huntington WV). He has another TV series coming up this spring, I read, and I'll be sure to blog about that so all healthy foodies have a chance to catch it. Meanwhile, he has an article with several recipes in the current issue of Food & Wine. My favorite is this, which I plan to cook this week. 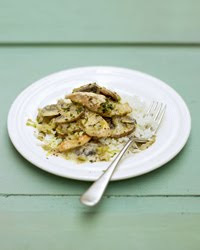 I love the combo of chicken, leeks and mushrooms, and the addition of a mustard and sour cream sauce sounds marvelous. In a skillet, heat 1 tablespoon of the oil. Add the leeks and cook over moderate heat, stirring, until softened, about 7 minutes. Add the mushrooms and season with salt and pepper. Cover and cook, stirring, until the mushrooms are tender, about 4 minutes. Scrape the leeks and mushrooms onto a plate. Season the chicken with salt and pepper and lightly dust with flour, shaking off any excess. Heat the remaining 1 tablespoon of oil in the skillet. Add the chicken and cook over moderate heat until golden brown, about 2 minutes per side. Add the chicken stock and thyme and simmer over moderate heat until the chicken is just cooked through, about 1 minute. Using a slotted spoon, transfer the chicken to the plate with the vegetables. Simmer the stock over moderately high heat until reduced by half, about 2 minutes. Return the chicken, leeks and mushrooms to the skillet and simmer over low heat until warmed through, about 1 minute. In a small bowl, blend the sour cream with the mustard and stir into the stew. Remove the skillet from the heat. Season the stew with salt and pepper and serve. PF Chang's has a really good deal on wine flights: choose any three wines available by the glass & get three 2.5-ounce pours for $9. Of course, I pick from the high end, and the pours often tip a bit over 2.5 ounces. Today I had a Viognier blend from Treana, a New Zealand Pinot Noir and (my favorite) a Hess cabernet sauvignon. For food, I got the shrimp with lobster sauce, a large portion and brought half of it home. Sommelier Showdown -- we have a winner! Last night at Art of Entertaining/Uncorked, the wine store and catering company/cooking school, they held the second Sommelier Showdown (I missed the first one). A team of chefs created a four-course, sit-down meal for dozens of wine lovers, and three sommeliers each picked a wine to pair with each of the courses. Attendees then ranked each course pairing according to how well the specific wines complemented the dishes. And -- drum roll -- the winner ended up being Mary Horn, who successfully defended her title from the first sommelier showdown last fall. Get on the Art of Entertaining mailing list if you want to be invited to the next one. We enjoyed the heck out of it! Here's a guest post submitted by Brian Jenkins about universities around the U.S. that make a special effort to provide healthful choices for students, faculty and staff. 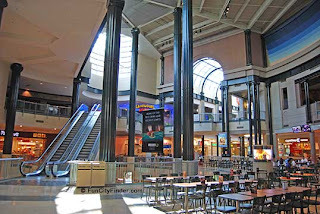 The photo is of the food court at one of the best, Brown University in Rhode Island. Through its Community Harvest program, Brown University purchases a great deal of fresh products from local farms. The dining hall stays stocked with delicious local food from each of the food groups. The Yale Sustainable Food Project manages an on-campus organic farm that collaborates on a sustainable dining program at Yale. The school also provides local organic produce and meats. The Physicians Committee for Responsible Medicine reports that Duke has been ranked as the best in the nation for healthy campus food. Crossroads, the country's first organic certified kitchen on a college campus, features world cuisine, a 100% organic salad bar, vegetarian/vegan foods, a variety of soups, grilled entrees, and other healthy food items. UW's food service emphasizes local, organic, fair-trade, and natural foods. Meats are only baked or grilled. Vegetables are steamed without added fats. PETA named UCLA "the most Vegan-Friendly College in the U.S." among larger schools. UCLA also provides organic options. The dining hall at COA emphasizes the use of local, organic ingredients. Cuisine from around the world are integrated into the weekly menu. If you're looking for a college that offers healthy dining options, then keep these fine schools in mind! Brian Jenkins writes about college degree programs in nutrition, among other education topics, for BrainTrack.com. One of the best things about this establishment is the delightful cocktails provided by Tonic, the bar attached to Local 127. I don't remember the name of the sparkling wine and gin (plus other yummy ingredients, perfectly balanced) drink that I had, but I've loved almost all the libations I've ever tried there so you can hardly go wrong. 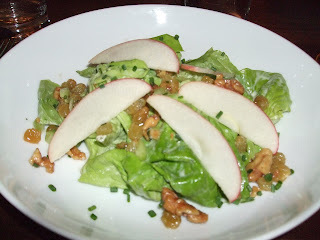 For dinner, I had their Waldorf Salad, which they've been serving for months now, much to my delight. It's not your typical Waldorf with chunks of apples, ground walnuts and too much mayo. The photo at top gives you an idea what this one is like: big chunks of toasted walnuts, slices of apple, golden raisins and a light vinaigrette dressing, all atop tender butter lettuce. Superb. My main course is also a Local 127 standby, Chicken Two Ways (bottom photo). Click here to check out the rest of their menu, although it may not be 100 percent up to date. How does grilled tenderloin with herb butter and Texas toast sound? Try some buttermilk mashed potatoes on the side, and finish with chocolate souffle. That menu should make you and your honey very happy on Valentine's Day, or sometime over the weekend if you don't have time to invest in a major meal on Monday. Click here for a link to these recipes. Happy heart day to all! 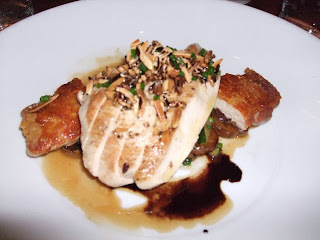 This is from a year ago, January 2010, and is one of the most popular and well received recipes I've ever posted. 1. Preheat oven to 400 degrees. 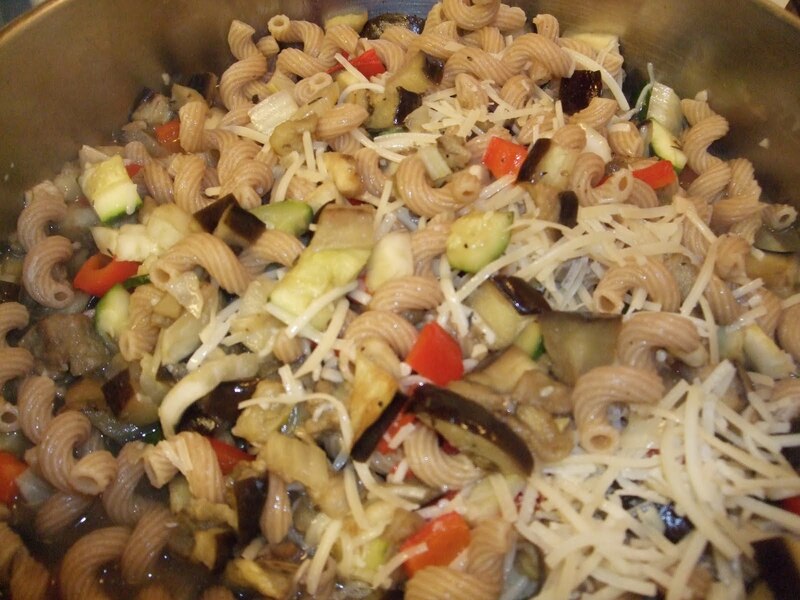 In a large mixing bowl, toss eggplant, fennel, zucchini and pepper with 2 T of the olive oil. Spread vegetables evenly on a rimmed cookie sheet that has been coated with cooking spray. Bake for 25 minutes, stirring once halfway through. 2. About 10 minutes before veggies are done, heat salted water in a large saucepan and cook pasta according to package directions, until al dente. Drain and keep warm. 3. Heat remaining 2 T of oil in a large frying pan over medium-high heat. Add garlic and cook, stirring, for about 90 seconds. Stir in stock. Remove veggies from oven and add to frying pan. 4. Add thyme, salt and pepper. Stir in pasta and heat through. 5. Spoon into serving bowl and pass cheese at the table. I'm happy to report that Suzie Wong's was packed on Saturday night -- that's good because that stretch of Madison Road has almost no places to get dinner. We hadn't been in a few months, not since they added a wine, sake and beer list, and the food was as good as ever, and at bargain prices, to boot. Although I've tried different entrees, I keep returning to the delicious Wild Mushroom Trio (top photo; $12.95), on the Veggie Corner part of the menu. The slow-cooked mushrooms are so plump, meaty and full of flavor, it's a wondrous taste treat. I love the veggies that accompany the main ingredient, including baby bok choy and a veggie I had never tried before this dish, lotus root. The other photo is of a spicy noodle dish with steamed tofu that my daughter ordered. She can't take spice, though, and the menu didn't let on that it was so hot. Our waiter cheerfully replaced the offending noodles with a mild chow mein, also with steamed tofu, and she liked that just fine. The wine list is minimal, but I did find something to drink, and my son-in-law enjoyed warm plum-scented sake that he said was quite good. We all had at least a little leftover food to take home to enjoy later. Suzie Wong's is a little more than a year old now, and the Healthy Foodie can wholeheartedly recommend the eatery for lunch or (especially) dinner. Last night I made this excellent side dish: mixed Southern greens sauteed with mushrooms, shallots and red pepper. 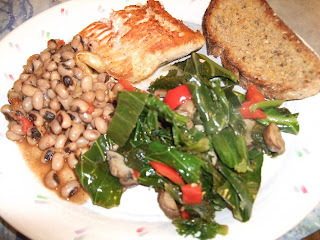 The greens were in a convenient bag, pre-cut and pre-washed, a combo of mustard, turnip and collards. To go with it (bottom photo) we had a small piece of artic char, black-eyed peas and a piece of whole grain garlic toast. And I finished off a bottle of cabernet sauvignon we'd had open for a couple of days. Heat oil in a large, deep frying pan over medium-high heat. Add mushrooms, pepper and shallots. Stir-fry for 4-5 minutes until the veggies start to brown. Stir in garlic and reduce heat to medium. Add half of the greens and a half cup of broth. Cover and cook for 2-3 minutes until greens start to wilt. Uncover and add remaining greens and broth, plus seasonings (except vinegar). 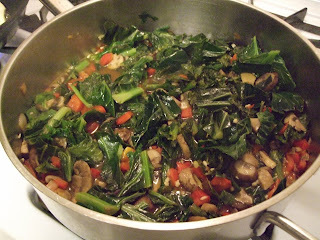 Cover, reduce heat to medium-low, and simmer until greens are tender, about 5 more minutes. Stir in vinegar and serve. There's no way around it: Americans have one of the worst diets in the developed world. That's absolutely insane given our national wealth and prosperity, relative to so much of the planet. We eat way too many processed and non-nutritious foods, and the result is we're a bunch of fatties with an epidemic of diabetes and raising a generation of overweight and obese children. --Tax the marketing and sale of unhealthful foods. There's more, so please read the entire piece.